These tea towels from UncommonGoods will be a welcome addition to your kitchen or bar area. The design features diagrams of a projector and microscope in a style and pattern that will go with almost anything. It’s a fun change from cutesy, flowery towels, and makes a great host/hostess gift for the scientists in your life! 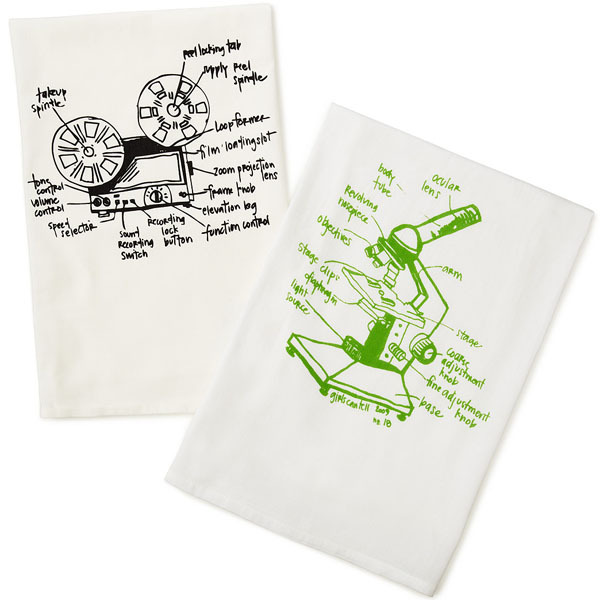 Geek Tea Towels, $28 for 2 at UncommonGoods.com.